Young Jimmy was having a snack after school with his Gran.
' Would you like another cookie ?' she asked. 'What good manners you have,' said his Gran.
' I do like to hear young people say 'please' and 'thank you'.' 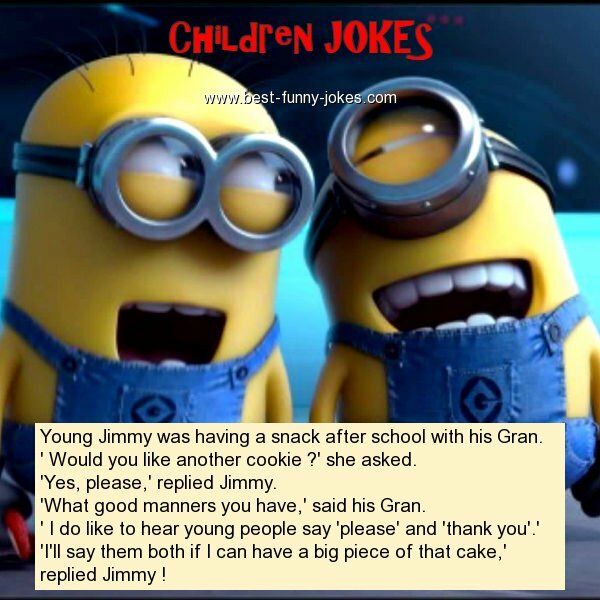 'I'll say them both if I can have a big piece of that cake,' replied Jimmy !